Assorted Sizes 75 (3) 90 (2). 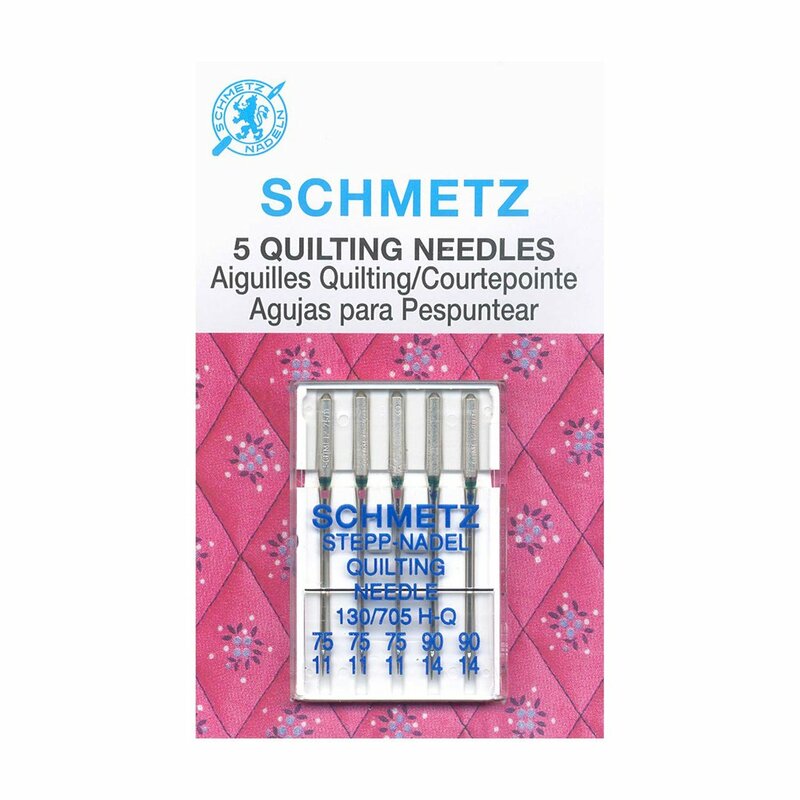 Made especially for piecing and machine quilting. The special tapered design allows easier fabric penetration and helps eliminate skipped stitches.